WHEN the draw for the 2018 FIFA World Cup qualifiers was made last year, Africa’s Group ‘B’ featuring Algeria, Cameroun, Nigeria and Zambia was dubbed as the “Group of Death.” Well, it is living up to its name 100 per cent. After four rounds of matches, the World Cup dreams of relative “favourites” Algeria (1point) and Cameroun (2 points) are dead and buried, leaving Nigeria (10 points) to slug it out for the sole qualifying ticket with the group dark horses Zambia (7 points). 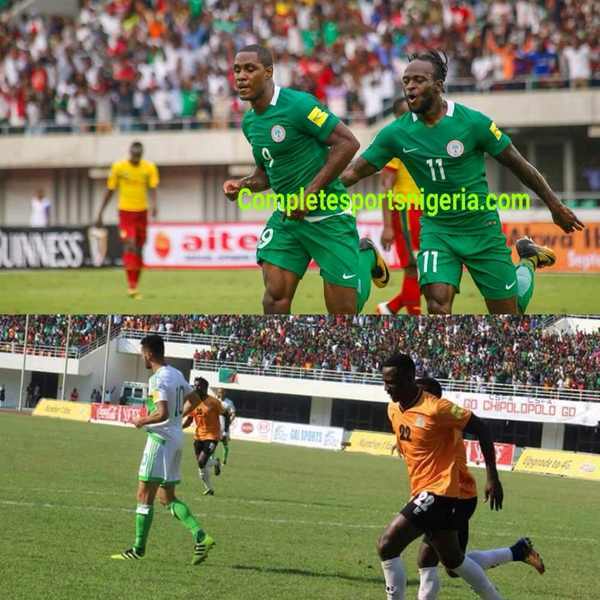 Just when the Super Eagles thought they had done the most difficult part by eliminating their eternal rivals Indomitable Lions (4-0, 1-1) in last weekend’s double header, the Chipolopolo have emerged as a real threat by also dumping out the Desert Foxes (3-1, 1-0). The fifth round game between Nigeria and Zambia on 7 October in Uyo has assumed great significance. It will be the next “Game of Our Lives.” A win for the Eagles seals their ticket to Russia. A draw or defeat extends the tussle to the wire in November when Zambia host Cameroun and Nigeria visit Algeria. Surely, the Eagles must avoid the tension that that would bring upon them. They must close out the race when the Zambians come to Uyo in 7 October, grab the win and move to an unassailable 13 points before the final round of games. Regular readers of this column would recall that 13 points was the qualifying target that I set for the Eagles when the draw was made last year. I projected that we must win nine points from our first three games and 13 overall by match day 5 so that the final game in Algeria would be inconsequential. After four rounds of games, nothing has changed and the Eagles can still reach the target as projected. My only surprise is that it is Zambia, not Algeria and Cameroun, who are giving us a run for the ticket to Russia. Zambia are the next focus of our attention, but there’s no way I’m going to pass up the opportunity to rub in the Eagles humiliation of Cameroun last weekend in Uyo and Yaounde. The Indomitable Lions have brought so much grief on Nigeria football fans that whenever we exert some measure of revenge, we must celebrate it. Someone actually reminded me on social media about my resolve to celebrate even if it was Nigeria cockroaches beating Cameroun cockroaches in a race! I found the Eagles 4-0 win in Uyo particularly satisfying. Also, I extremely enjoyed the various media descriptions of what the Eagles did to the Lions: Humiliate, annihilate, trounce, massacre, tame, disgrace, destroy! On a more serious note, my reading of the game is that the Cameroun coach Hugo Broos was arrogant and over-confident in his approach probably because of their status as current African champions. Being the away team, I thought they would have started on a cautious note, frustrate Nigeria with some defensive tactics, then take us out on the counter as we got desperate in search of a goal. Broos did exactly the opposite and got punished for it. Right from the kick-off, the Lions went straight into attack and the Eagles had to ride an early storm. But once the storm subsided, it was the Eagles that repeatedly tore apart a disjointed Cameroun defence with some incisive play by Mikel Obi, Odion Ighalo and Victor Moses who all scored before substitute Kelechi Iheanacho added the gloss. In the return leg in Yaounde, Broos had learned his lesson the hard way and the Lions were more cautious at the start even though they were now playing at home. Man-for-man, the Eagles had better quality all over the pitch and should have been more than one goal (scored by Moses Simon) ahead before Cameroun managed a late equalizer from the penalty spot to secure the 1-1 draw. 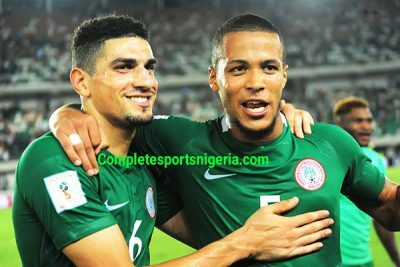 Over the two legs, my man of the tie was centre back Leon Balogun who marshaled the Eagles defence excellently. Captain Mikel Obi was awesome in midfield and Victor Moses was unplayable on the flanks. Apart from Ighalo’s physical presence which perpetually unsettled the Cameroun defence, he also showed some great skills that I never knew he possessed. In goal for Nigeria, home boy Ikechukwu Ezenwa made the error that resulted in the second leg penalty for Cameroun, but overall, the home boy responded well to being blooded in such a crucial tie when Nigeria looked like having a goalkeeping crisis. 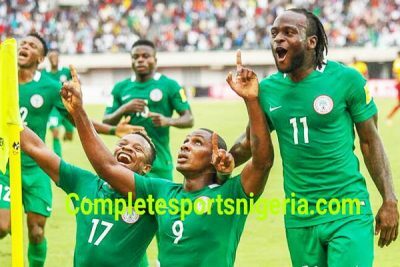 Finally, I doff my hat for Eagles coach Gernot Rohr whose team selection and tactics completely overwhelmed the Lions. 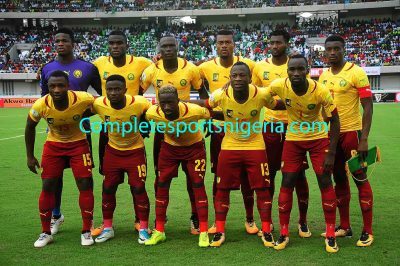 With the benefit of hindsight, the nine high profile games that Cameroun played (six at the 2017 AFCON which they won and three at the 2017 Confederations Cup) which we thought had prepared them better than the Eagles had only served to expose their weaknesses to Rohr, the consummate tactician. ONE of my followers on Twitter suggested after our second leg game against Cameroun that the Russia 2018 ticket, though so close, was “not yet Uhuru” for Nigeria. After watching Zambia complete a double over Algeria (3-1 at home and 1-0 away), I cannot agree more. With absolutely nothing to lose and everything to gain, the Zambians will be very dangerous customers when they visit Nigeria in next fixture on 7 October. 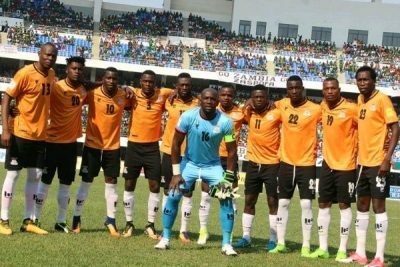 Since the Eagles beat them 2-1 in Ndola on match day one, the Zambians have been a changed team. Coach Wedson Nyirenda has promoted several players from their youth team and they’ve not lost another game since then. They are skilful and athletic, full of running and have a big heart which they demonstrated in getting a third goal against Algeria in the first leg even when playing with 10 men against 11. Zambia also have a history of close rivalry with Nigeria. In 17 confrontations between both countries at senior level since 1973, Nigeria have won seven, drawn five and lost five. The biggest contest was the 1994 AFCON final in Tunisia where a relatively new Zambian team, assembled after most of the original team died in a plane crash, stood up gamely to our Golden Generation Super Eagles before narrowly succumbing 2-1. Evidently, Zambia are supremely capable of giving Nigeria another good fight in Uyo on 7 October. Unlike Cameroun who adopted an arrogant tactical approach and got severely punished for it, I expect Zambia to come with a game plan to frustrate Nigeria with some solid defending. They will sit back and look to catch us with quick counter attacks. If they can’t get a win, they will target a draw which will drag the contest for the World Cup ticket to the final day when they would hope to have a better chance at home to Cameroun while Nigeria goes on a tricky road trip to Algeria. It’s up to the Super Eagles to destroy Zambia’s permutations by simply beating them in Uyo. A couple of early goals like we scored in Ndola in the first leg will ease the tension and set us on the way to Russia. Considering all the hype, our two-legged tie against Cameroun turned out to be an anti-climax of sort, but I suspect that Zambia will be a true test for the Eagles. It’s just as well because it means we cannot afford to be complacent. Thankfully, none of our key players is suspended for that game. Barring any injuries at their club sides and with Gernot Rohr again conjuring the right tactics, Nigeria will win, in sha Allah. That would be so cool to win all the time. I wish you all the best. It was very interesting and informative for me to read your opinion on this event and the quality of the game of this team.